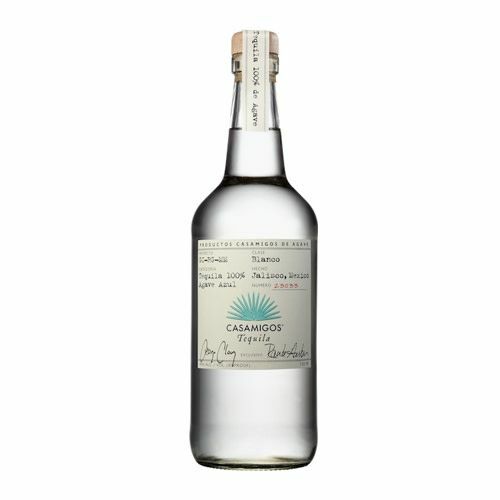 Casamigos Tequila Blanco is 100% Agave produced at Productos Finos de Agave in the Highlands of Jalisco, Mexico. This small batch, ultra premium Tequila is made from the finest, hand-selected Blue Weber Agaves, is slow cooked, ferments slowly with proprietary yeast, and rests for two months before bottling. 2013 - Actor George Clooney and restaurateur Rande Gerber (husband to supermodel Cindy Crawford) launch their own Tequila brand, Casamigos.